With her love of theatre, dance and writing, Ashima Suri jumped on the opportunity to write for Mooney On Theatre. Ashima is an award-winning established dance artist with her own dance theatre company called Limitless Productions. In her own work, she uses art as a tool for social change. As a reviewer, she seeks out shows that speak to the diversity in the community. She loves to watch innovative shows that break the norms and challenge the audiences. It was the alluring and distorted promotional picture of Danish Choreographer and Dancer Kitt Johnson that caught my eye. The image of Johnson in somewhat of a contortion dressed in a white tank top and a ski mask piqued my curiosity. I wanted to get to know the mysterious person behind the mask. 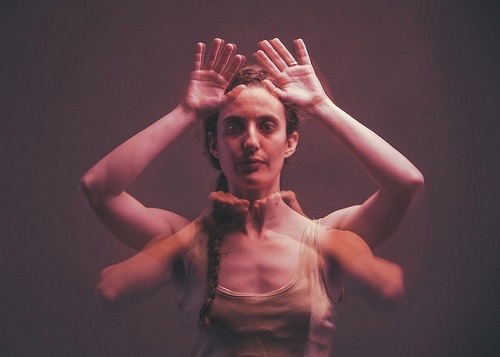 And as her show Post No Bills began, I found myself yearning to learn more about Johnson’s unique contemporary dance style as she purposefully stepped on to the Harbourfront Centre Theatre stage allowing the audience into her world. 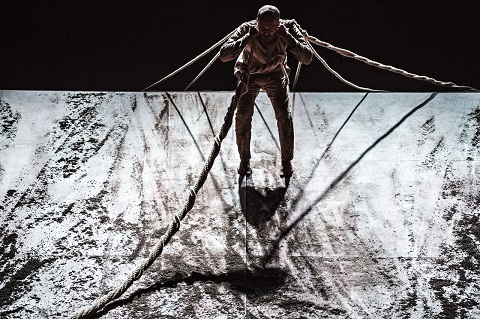 The harmonious sounds of the tabla (Indian drums) greeted audience members as they walked into the Canadian Stage‘s Berkeley Street Theatre to watch one of Akram Khan’s newest dance works – XENOS. I’ve been a fan of Khan’s work as an artist since I watched his show DESH in 2013. His uncanny ability to draw the audience in through story-telling, alluring sounds, fascinating imagery, intricate movements in Kathak (Indian dance) and contemporary dance have left audiences from around the world standing on their feet after all of his creations – including the one I just experienced – XENOS. I took my three-year old to watch A LADD ‘n HIS CAT, the 6th annual pantomime show and annual Leslieville festive tradition. 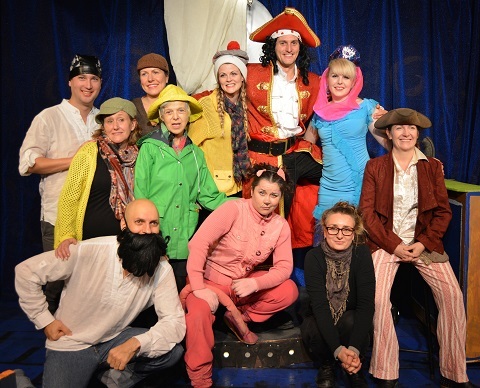 The Panto Players show at Red Sandcastle Theatre did not disappoint. My youngin’ sat through the 90-minute show intrigued by the pirates, genies, the many set changes, and the creative pop music-inspired song and dance numbers. And yes… I was dancing along in my seat throughout the show too! When was the last time you tried to please someone and completely failed at it? In a powerful solo act by comedian Ryan Dillon, Dillon takes the audience on a journey that makes us reflect on the choices we’ve made in our life. Are we people-pleasers? Does the idea of making everyone happy make you happy? 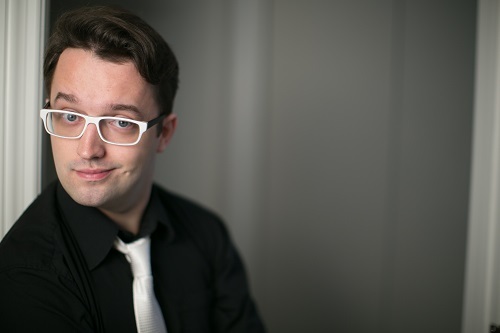 Dillon stepped onto the Tarragon stage to tell us a story that was heartwarming, funny and compelling. 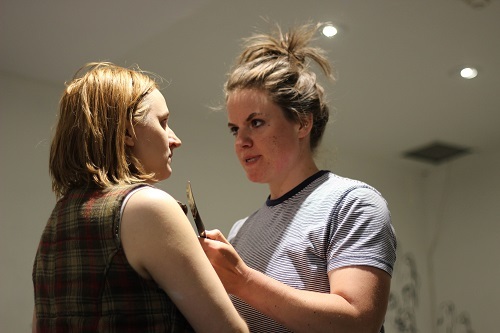 Collapse at the Toronto Fringe Festival tugged at my heart strings and it gave me something to really think about. 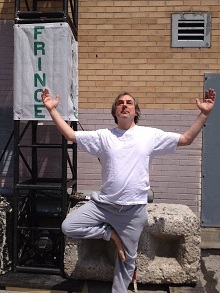 I couldn’t have been more excited about going to the Ahimsa Yoga studio for their Toronto Fringe Festival play Shecky’s Yoga Sequel: Because Enlightenment Doesn’t Happen in Just One Class. As a theatre and yoga lover the choice to see this show was a no brainer. However, even though the show left me feeling a little more relaxed and enlightened, I did feel like the overall performance could have been stronger and tighter. 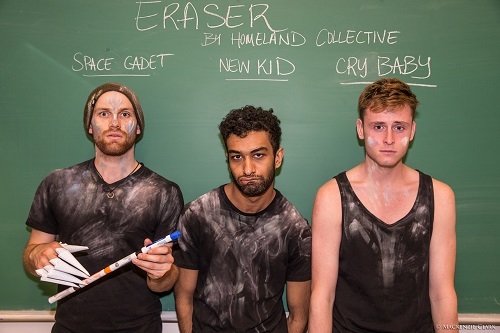 I admittedly was a bit scared when I walked into the Westside Montessori School for the site-specific Toronto Fringe Festival show, Eraser. What is more daunting (or exciting) than going back to visit your childhood?! I still had mixed feelings when one of the actors, Michael Pintucci, approached me and a few others for a tour of the school before the show started. The unknown of what to expect had my heart racing. With that being said, Michael kept the others and I at ease and soon enough, I felt like I had become one of the students going through this incredible childhood journey with the cast. I was pretty excited to take my daughter (a 2 and half year old) to her first ever Toronto Fringe kids show. 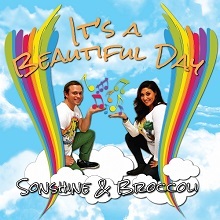 Not knowing what to expect going in, I left the theatre an enthusiastic fan of the talented duo Sonshine & Broccoli, who star in the musical play I Want to Be. The thing I love about The Toronto Fringe Festival is that you never really know when you will get that glimpse of a gem. That special something that makes you go ‘wow’. Getting Odd was that special gem for me. This was the last show I watched after a long day of fringing. I had no idea what to expect. But by the end of the show, I was walking away humming to the Beach Boys song ‘Wouldn’t it be nice’. If I wasn’t in public, I’d probably would have started dancing too! Now Getting Odd is not a musical BUT there are some catchy song and dance numbers in it that are playful and fun. Needless to say, Getting Odd was a thrill ride that had me at the edge of my seat throughout the play. When I first read the description of The Other Place, I was expecting to walk into an emotional thriller that would have me at the edge of my seat. Instead, I was taken into another journey that wasn’t quite dark and mysterious but informative and at times emotionally gripping. 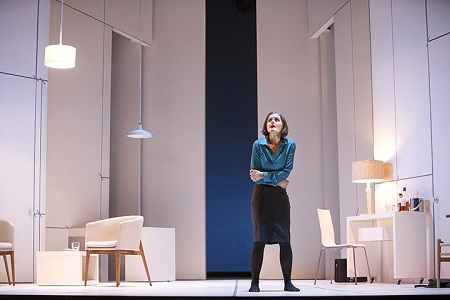 The talented cast and the creative set design by Judith Bowden were the highlights of this Canadian Stage production.